The concept of entrepreneurship is fundamentally being refined and there’s being a sharp rise in the number of people who want to become entrepreneurs. Hence, it is important to build an atmosphere that fosters healthy discussions and ideas for students to take their entrepreneurial zeal to greater heights. 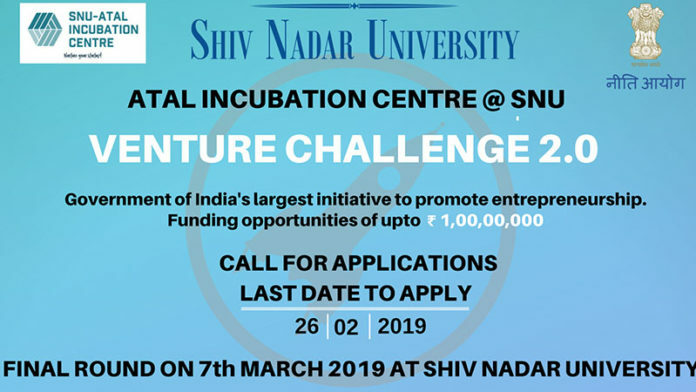 We, at E-Cell Shiv Nadar University, aim to create an approachable community where just an idea can be transformed into a working and sustainable business model. 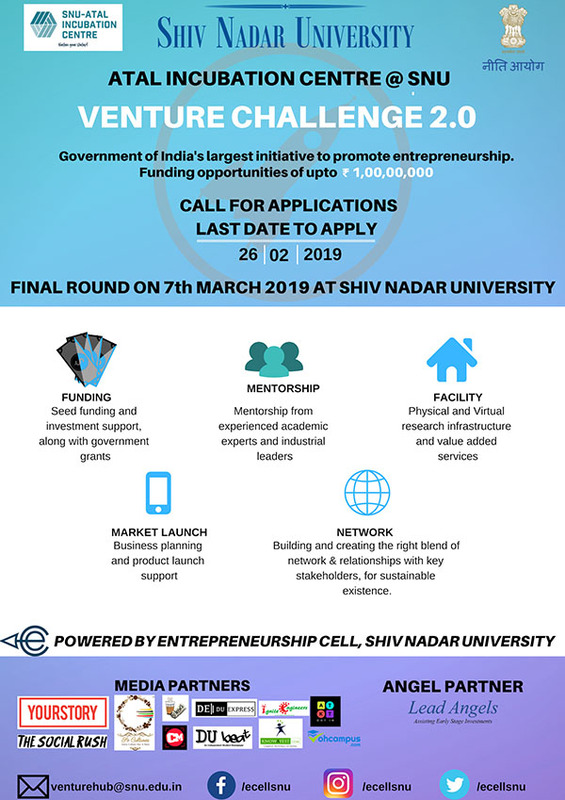 In our attempt to do so, we are organising a Venture Challenge which is a unique set-up where the budding start-ups can compete for incubation under the Atal Incubation Centre. Co-Working space with state of the art facility. Reduction in the patent registration fee. New schemes to provide IPR protection to start-ups and new firms. NewsAurChai Media is a media house which has young contributors ensuring a fresh and renewed perspective to news and recent happenings. We hope to offer sensible articles, which goes with our tag line of 'sense above sensation'.